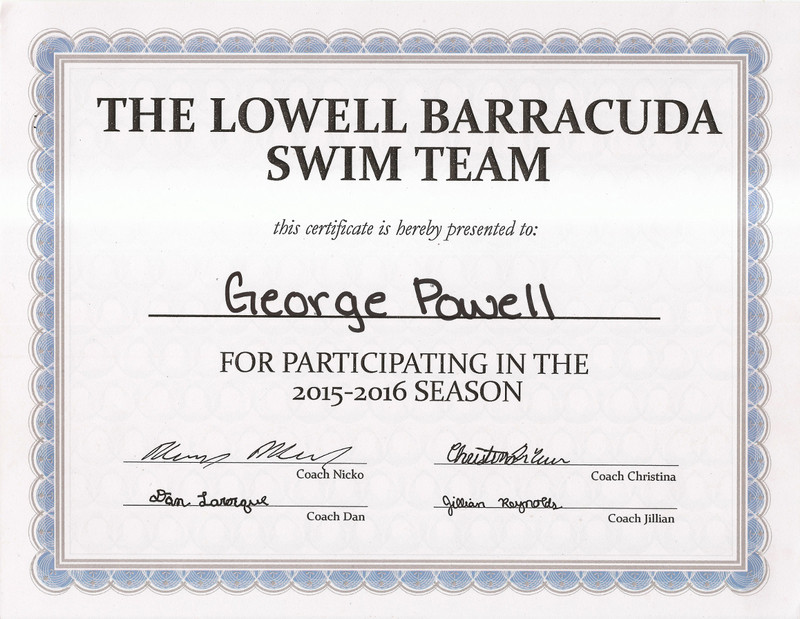 George and Jennifer finished a successful swim season. 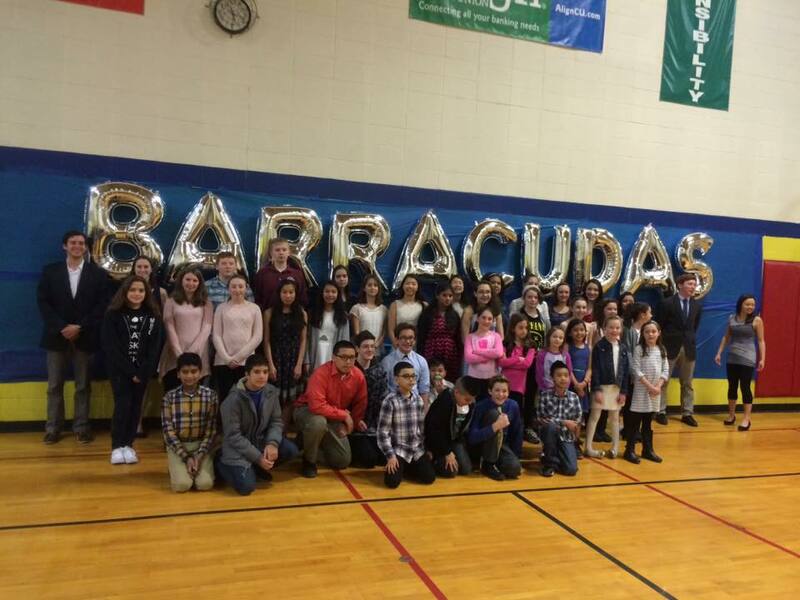 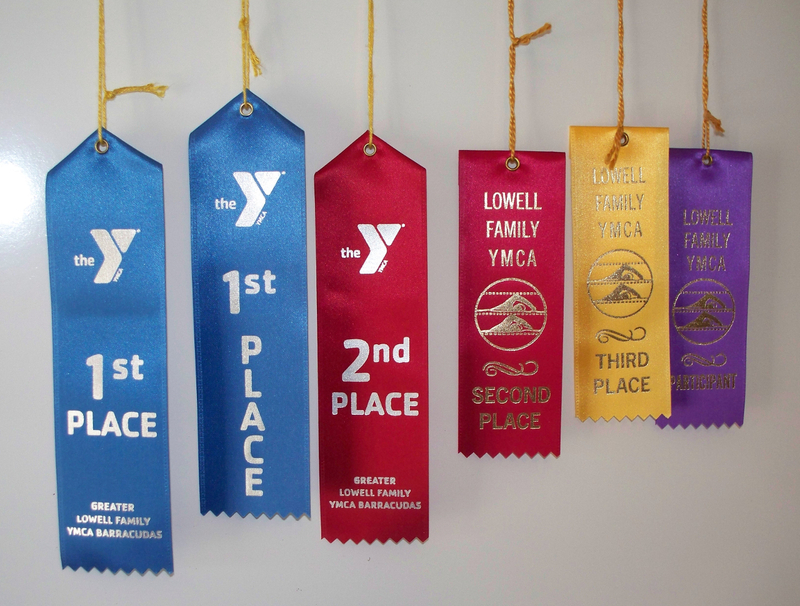 Their team, the Lowell YMCA ‘Barracudas’, had their banquet last week, and passed out awards and ribbons to all the swimmers. 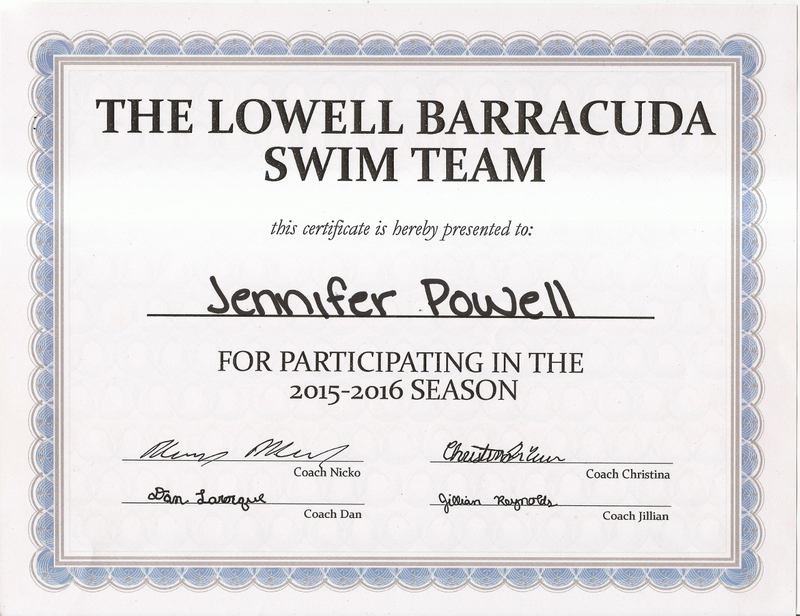 Both George and Jennifer worked hard in swim practices, typically 3 – 4 times/week, and had a lot to show for it at the end of the season. 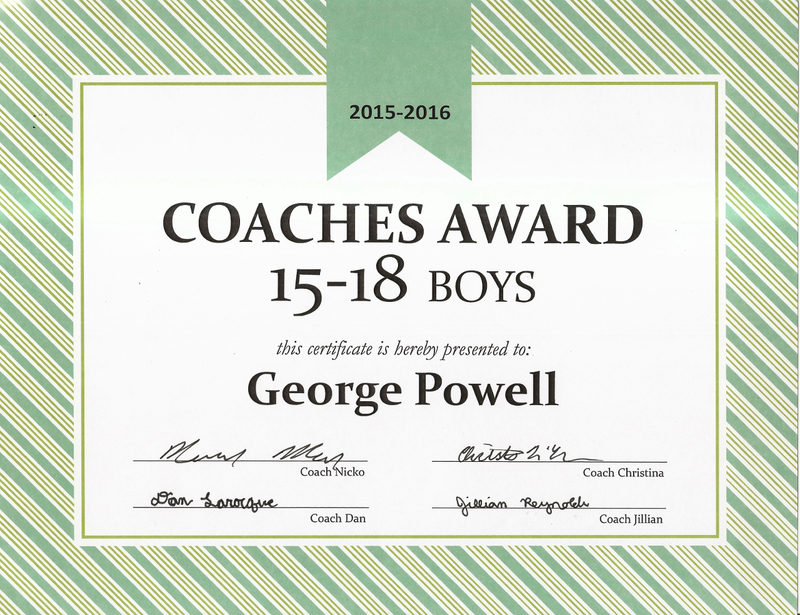 It was a fun season for all.